Over the course of a Saturday long run just south of Denver, Colorado, you can pass three area high schools: Littleton Dakota Ridge, Highlands Ranch Mountain Vista and Highlands Ranch Valor Christian. 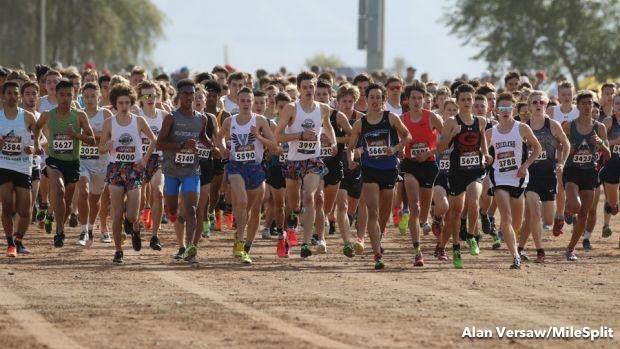 Talk to the coaches of these distance powerhouses and you'll discover the connection runs far deeper than mere proximity. This past fall, the Dakota Ridge boys finished third nationally as a team at Nike Cross Nationals. Mountain Vista was 12th. Individually, Valor Christian's Cole Sprout was third, Mountain Vista's Easton Allred was fifth and Dakota Ridge's Austin Vancil and Connor Ohlson were sixth and 10th, respectively. It's easy to point to Colorado's natural advantages as a key reason for that success. Certainly, training at altitude, access to trails and an environment conducive to outdoor activities carry undeniable benefits. But is running hills in thin air enough to produce such dominance? And why the extraordinary success of three schools in a 15-mile radius? According to head coaches Mark Stenbeck (Dakota Ridge), Jonathan Dalby (Mountain Vista) and Greg Coplen (Valor Christian), the answer can be found in what they agree is many times more important than steep trails, a roster full of talent or well-designed training programs. The true differentiator is having a winning culture. "Culture is absolutely paramount," Coplen said. "Kids see the success, but more than anything, they want to be part of the family. What drives them is knowing that they have a coach and teammates who truly care about them." "Culture is by far the most important," Dalby said. "As coaches, we spend more time talking about it than anything else. Not necessarily getting more kids to come out for the team, but how we get everyone involved and bought in." It starts early. The coaches are convinced that a key element of building culture at the high school level is having a closely-affiliated middle school program. "Kids are coming to us already interested in the sport," Stenbeck said. "The middle school coaches instill fun, not overtraining, teaching them the basics, team culture, that's where it starts." Right on cue, as I'm watching the Mountain Vista track and field team practice, a group of middle school runners go by. With that kind of exposure, it's easy to imagine that they're already dreaming of joining the big team one day. It's an advantage that Coplen is trying to put in place. As a private high school, Valor Christian lacks a natural feeder system. That's why he's recently added a distance component to the Valor Track Academy. "We have to have a feeder, we can't just keep waiting to see who comes in as a freshman," he said. "I want them to come in and experience me as a coach, the culture we're creating and know in seventh grade that if they come to Valor they're going to have a coach who cares about them long after high school and college." As soon as athletes graduate from middle school, the true assimilation begins. At Mountain Vista, all incoming freshmen who participate in its summer running program are invited to the team's goal-setting barbecues ... which take place before school even begins. According to Dalby, "We get as many people there as possible. The freshmen have no idea what's happening, but they quickly get the message that this is a big deal that we want to be a part of." Engaging the freshmen early is what Stenbeck refers to as the "Long Game." "When the kids articulate 'I'm interested in accomplishing this, what will it take?' This is the kind of process you will need to follow," he said. "Not training too much too soon, let's build up slowly and not get hurt. Also working the mental side too." Despite their exceptional records and long list of accolades, Dalby, Stenbeck and Coplen insist there's no magic formula. "Kids are going to come into these programs and see something special and stay around to make it great," Coplen said. "You can be an average coach, but if you can develop a culture, you're still going to have a lot of success." Something these three programs know a lot about.